MineralPRO’s Slim Line Filter Kit’s slim design makes them the perfect choice for low-flow drinking water filtration applications. MineralPRO’s Slimline Sediment Filter Kit can be added to any drinking water filter system to provide extra filtration of sediment, dirt, sand, etc. 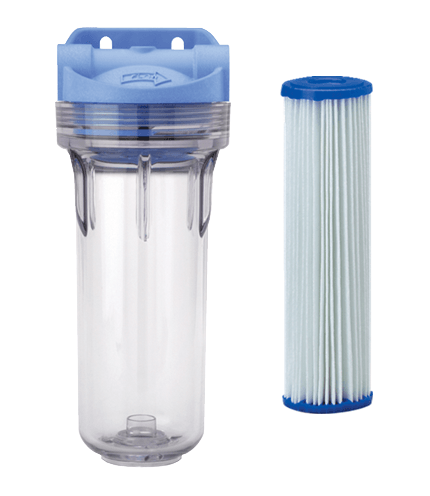 Filter kit comes complete with a 1 micron pleated polyester sediment filter cartridge that is washable and bacteria resistant, and Slim Line filter housing with John Guest push-in fittings. Home, RV, Ice Maker Kits, Beverage Dispensers, Boats, Campers, and more.